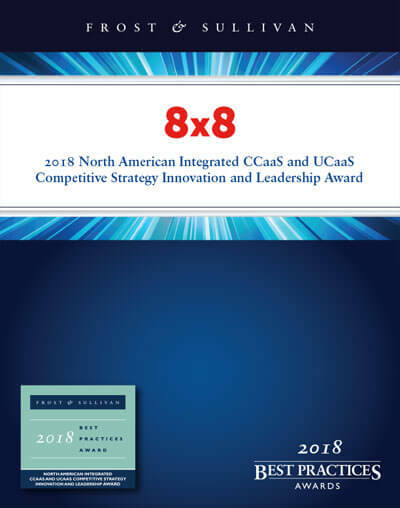 8x8 Wins the Frost & Sullivan 2018 CCaaS & UCaaS Award | 8x8, Inc.
To be at the forefront of customer service, you need to eliminate barriers. The answer? An integrated UCaaS and CCaaS strategy. Leading providers are enabling superior customer support by integrating communications capabilities across their enterprise communications and contact center environments. An innovation leader eases the path to implementing more sophisticated capabilities through integrated contact center and communications solution licensing, integrating traditionally siloed technology platforms and providing a single source for development, service delivery and support. 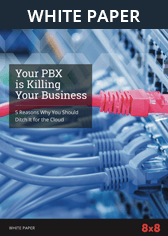 Get your copy of the research paper today to learn more about X Series and the significance of a competitive, integrated UCaaS and CCaaS strategy. Click the button below to read the report.